Ladera Ranch is known as a family-friendly community is lucky to be served by some of the best schools in Orange County. But because it is located in unincorporated Orange County and is a part of the sprawling Capistrano Unified School District, there can be confusion regarding which schools serve the residents of Ladera Ranch. We’ve provided all the relevant information below, but if you’d like to go straight to the source, you can search the Capistrano Unified School District attendance boundary maps or you can also look up property specific school assignments by using the address search function. API scores for all schools in the Capistrano Unified School District can be found here. 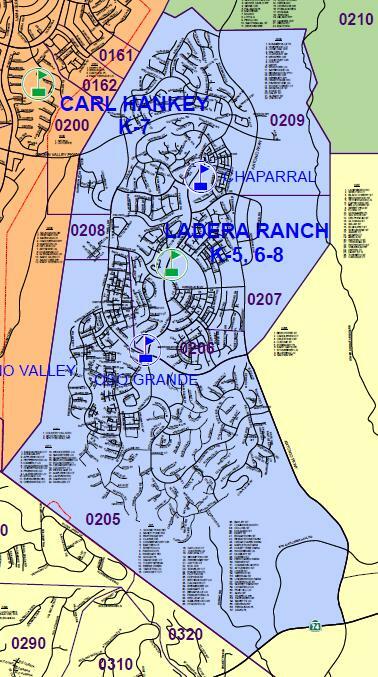 Ladera Ranch students are allocated to three elementary schools, all located within Ladera Ranch proper. 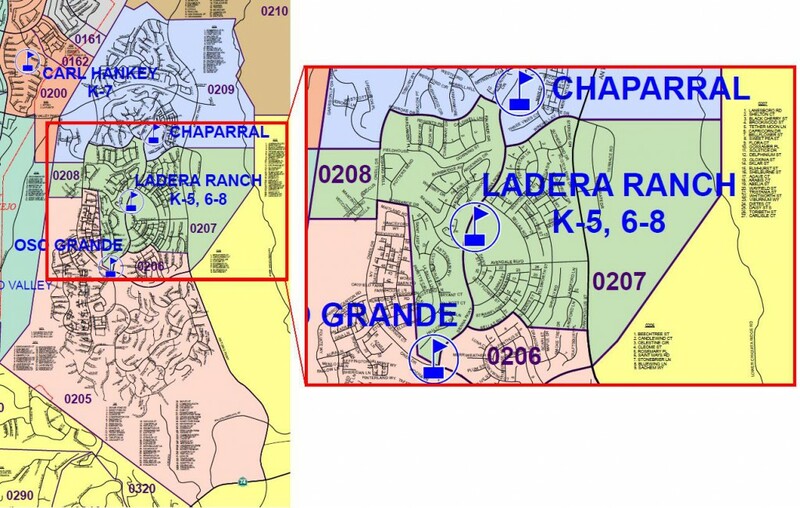 Students in the north attend Chaparral Elementary, students in mid-Ladera attend Ladera Ranch Elementary and students in the south attend Oso Grande Elementary. Chapparral, Ladera Ranch and Oso Grande Elementary Schools scored 948, 944 and 912, respectively, on the 2011 API scores. All are outstanding schools with outstanding facilities. 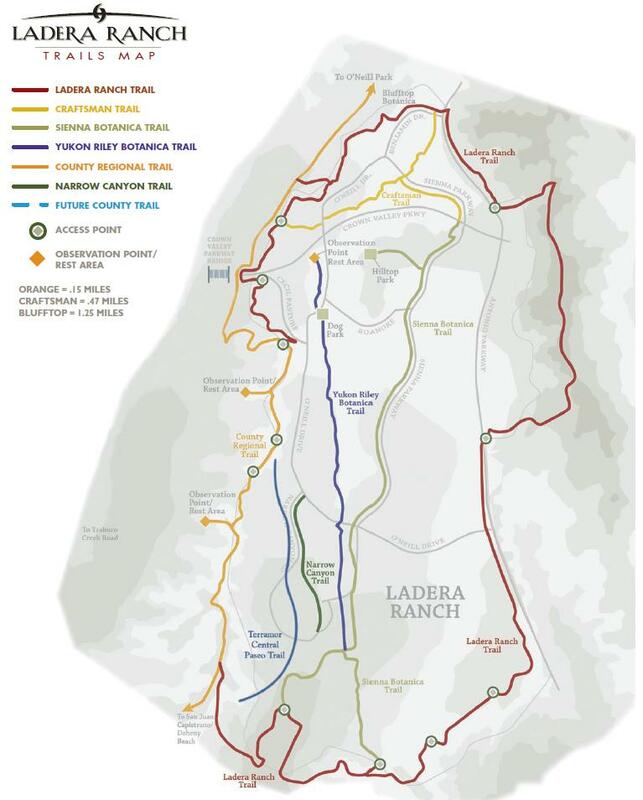 All Ladera Ranch students attend Ladera Ranch Middle School, which is a grade 6-8 program. API scores for Ladera Ranch Middle School in 2011 were an impressive 935, the highest of any middle school in the Capistrano school district. Students in Ladera Ranch will attend either Tesoro High School or San Juan Hills High School. Those in northern Ladera will attend Tesoro, and the majority of students in Ladera will attend San Juan Hills. Tesoro scored an 884 on the 2011 APIs, while San Juan Hills scored 835. Whereas Ladera elementary and middle schools currently draw students from only within Ladera Ranch, Both Tesoro and San Juan Hills enrolls students from surrounding communities. Tesoro students hail from Coto, Las Flores and parts of Rancho Santa Margarita. San Juan Hills also includes students from most of San Juan Capistrano. 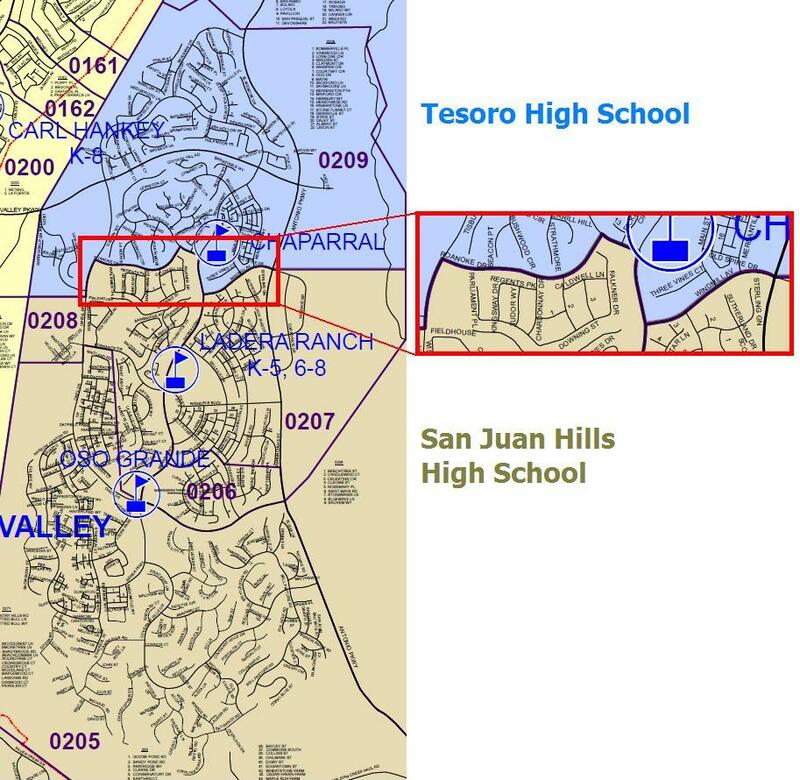 If the current school boundaries depicted in the maps above are retained, most students living in the new Rancho Mission Viejo Village of Sendero will attend Oso Grande Elementary School, Ladera Ranch Middle School and San Juan Hills High School. It is possible that students living in the apartments on the south/east corner of Ortega and La Pata would be zoned to Harold Ambuehl Elementary in San Juan Capistrano, and Marco Forster near Dana Point for middle school, before returning to San Juan Hills High School. We are told that there are no new schools contemplated as a result of Planning Area 1, in part because the high number of “age qualified” housing units in Gavilan will not result in a substantial increase in the number of school aged children in the area.